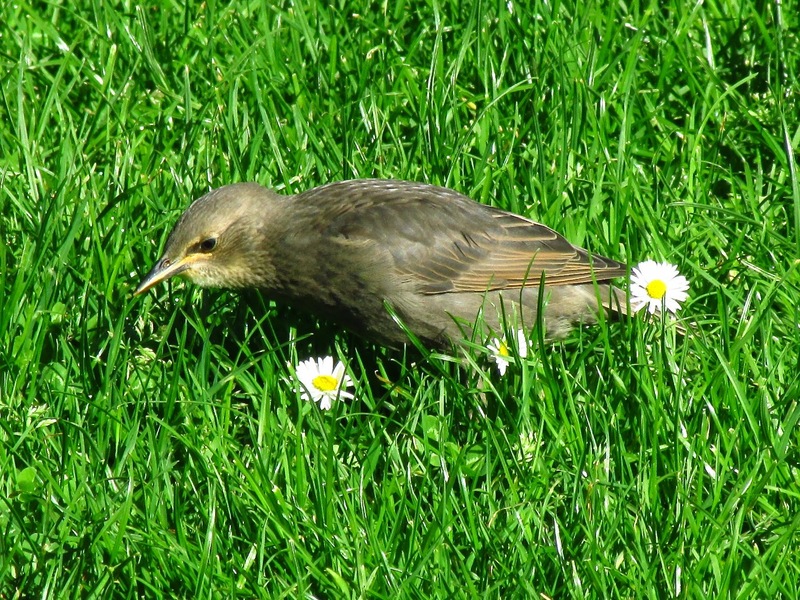 The first Starling fledglings joined their parents in the lawn of the park this morning, running behind their parents begging for food, with a cacophony of calls. 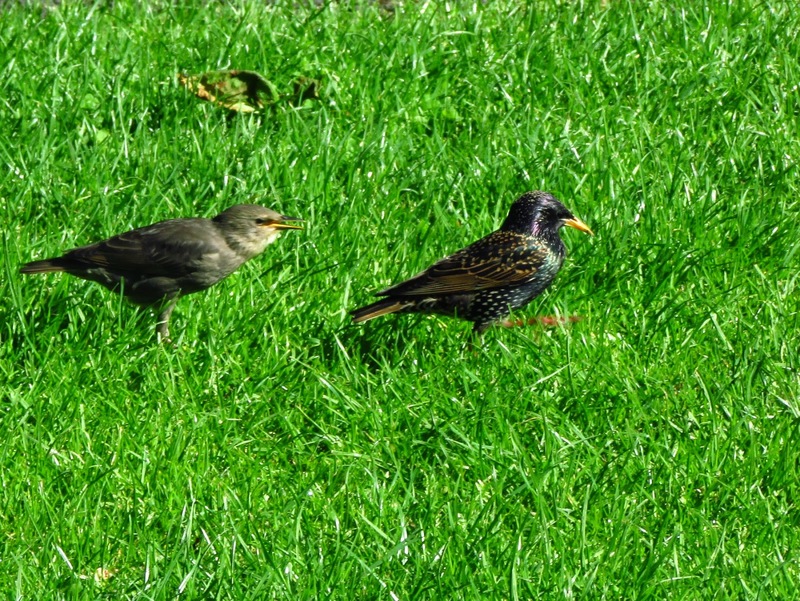 Starlings are highly social birds, they like to feed together, so the chances are that the still dependent young will join unrelated young while still expecting to be fed by their parents. 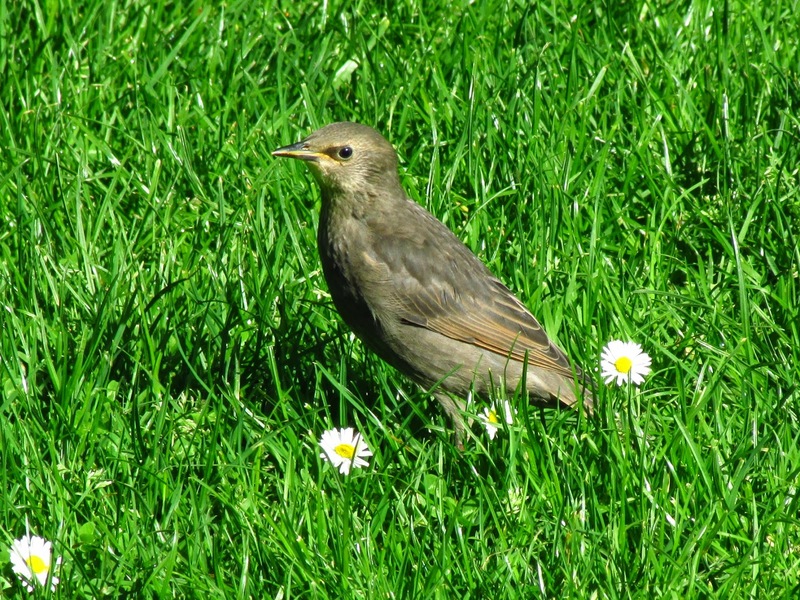 Furthermore, starlings in an area have synchronised egg laying so that many young will fledge on the same day. While the young are inside the nest, parents do not need to particularly recognise their offspring individually - they are likely to be their young. However, how can they make sure they recognise their offspring from others in the flock, so that they feed their own young after they fledge? Every year, a week or so before the fledglings leave the nest, adults start using a harsh call 'charr, charr!' (above, listen here) and the by then loud voices of the young can be heard replying from inside the nest. Why, I wondered, do they do this? Linda van Elsacker, Rianne Pinxten and Rudolf Frans Verheyen carried out experiments in nest box starling colonies in Antwerp (Belgium), either swapping broods of different ages for a day (Exchange experiment), or offering a choice between their chicks and alien chicks in nearby nests (Choice experiment), or swapping the nest by an empty one and relocating their nest containing young at a certain distance (Search experiment) at different chick ages. In their choice experiments, carried out when young were 5, 11 and 16 days old, they showed that parents accepted and fed strange chicks until they were 16 days old, as shown by the weight gain of the chicks. In contrast, most parents were able to recognise their chicks when they reached 19 days, ignoring the strange ones completely, and this behaviour was found in all parents when chicks were 20 days old. So by this age adults were able to recognise their chicks. In the search experiments they showed that the ability of parents to locate their offspring improves quickly and by the time chicks reach fledging age (20-22 days old) 97% of parents searched for and relocated the moved nest containing their young within an hour of the nest having been moved. The constant calling by parents and offspring in the days before fledgling might be a way of reinforcing this recognition. So, by the time the offspring are ready to fledge, and then mingle with other chicks, parents are able to recognise their offspring, presumably by their calls. 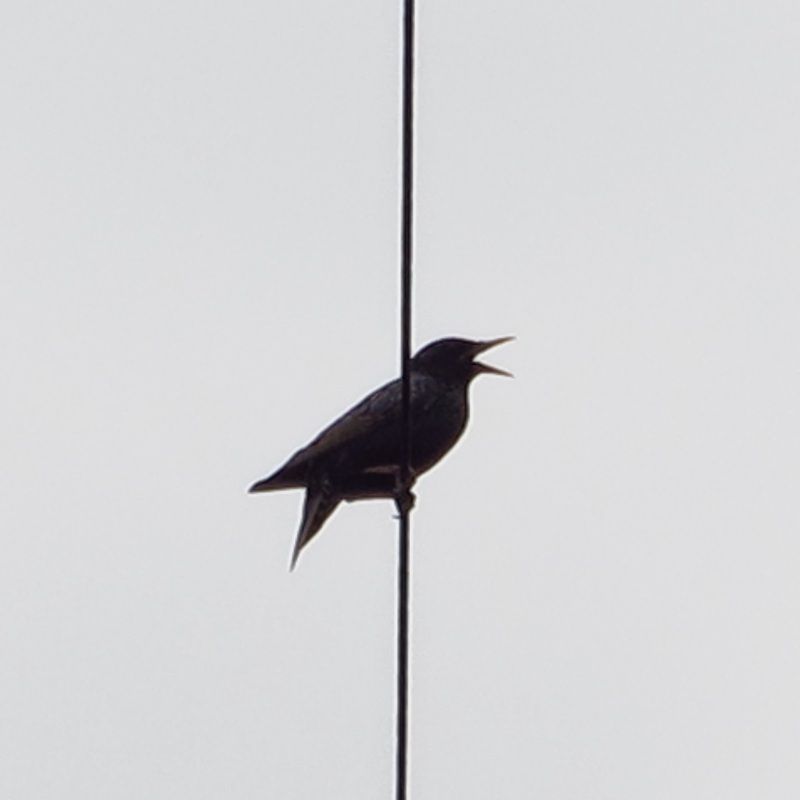 Chaiken, Marthaleah (1992) Individual recognition of nestling distress screams by European starlings (Sturnus vulgaris). Behaviour : 139-150. ...and chasing its parent begging.